Thank you for enquiring about Craggy Range. We have recieved your enquiry and our team will respond to you shortly. 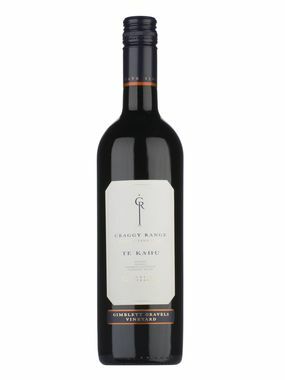 While you wait to hear from us why not check this product from Craggy Range that we think you will like. When Terry Peabody launched Craggy Range in the late 1990s, a terroir-focused approach was employed to select unique parcels of land that would produce wines that spoke of their place. This led to the selection of sites in the best, but often lesser known, wine growing regions of New Zealand: the Gimblett Gravels vineyard, located in Hawkes Bay on the east coast of New Zealand and the Te Muna Road vineyard, located just outside of the town of Martinborough on the lower North Island. Te Muna is divided into two terraces, with a focus on Pinot Noir and Sauvignon Blanc production. The Gimblett Gravels vineyard is split into 36 varietal blocks that have been matched to the variations in depth and texture of the gravelly soils of the meandering old stream beds of the Ngaruroro River. Here they focus on Syrah, Chardonnay and traditional Bordeaux varietals. Today, Craggy Range is hell bent on being one of New Zealand’s great wine producers. As a member of the New Zealand Fine Wine Classification and winner of the 2017 New Zealand Winery of the Year from leading New Zealand wine writer Bob Campbell MW, they are well on the way to achieving this.